Does your child need some help on math? 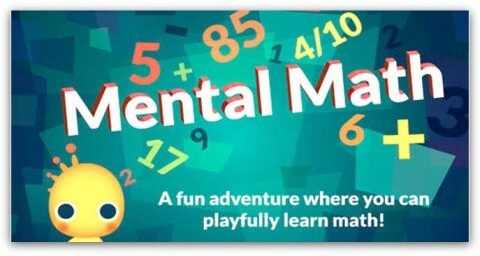 Or are you looking for something to help your kids get ahead on math? Either scenario, Mathemagics – Mental Math Tricks is a good fit. As long as the kids have learned the basic two-digit addition, subtraction, multiplication, and division, they can benefit from this app. What you see in Mathemagics app is not something covered in school. It is all about little tricks to help kids think differently and solve math questions faster. Here is one: “How to divide any number by 5?” The trick: Step 1, multiply that number by 2; Step 2, with the result from step 1, move the decimal point to the left by one place. They also show an example: 223÷5=? Step 1, 223×2=446; Step 2, 446 becomes 44.6. You get the answer: 44.6. There are three sections in the app: Learn, Practice, and Play. Learn: step by step explanation of the tricks. It is like the example above. Practice: problems for the kids to practice the trick they just learned. Each practice focuses on one trick. The kids can choose which trick they want to practice on. Play: it is like a comprehensive practice. Kids can choose multiple tricks at one practice. There are about 60 tricks in the app. You can see a sample of the tricks at the bottom of this post. Kids will learn that there are different ways to do math. If they didn’t do well or didn’t like one way, they can try something different. When solving the same problem in different ways, kids will have better understanding of the calculations and gain better sense about math overall. Parents can learn some tricks together with the kids – believe me, you will find some tricks that are new and refreshing to you. This will help you understand where your child is, and encourage your child’s interest in learning more. Parents also want to make sure the kids will do the practice after learning each trick. Knowing the trick is one thing, being able to use the trick effectively is another. It is all about practice! For some kids, parents may have to read through the learning section with the child to ensure he/she get it right. 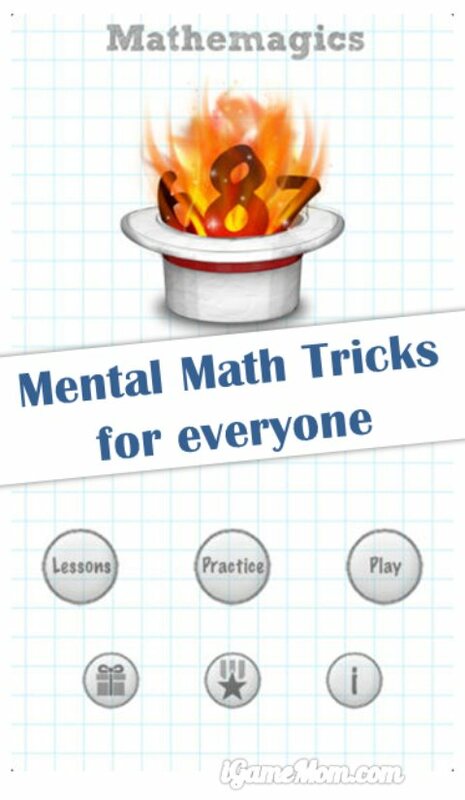 It is a good app to give kids some different ways of thinking about math. It only takes couple minutes to learn each trick, so it can be easily fit into a busy schedule. Kids have to know the basic addition, subtraction, multiplication and division to use the app. It is the most beneficial for kids in upper elementary and middle school. It works on iPhone, iPod, and iPAD. It is 50% off right now, but for limited time. After 50% off, it is $0.99 at App Store. If you would like to check it out or purchase it, please use the App Store button provided below. The cost is the same to you, but iGameMom gets a small percentage. Thanks for your support! Note: The button works for all countries. There is no country limitations anymore. Previous post: How to Quit Backgound Apps to Make the Battery Last Longer? Hope with the app recommendations here, keeping up with academics will be a more joyful experience.